Marawi City, officially known as the Islamic City of Marawi (Maranao: Inged san Marawi; Arabic: مدينة مراوي‎‎; Filipino: Lungsod Islamiko ng Marawi), is the capital and the largest city of the province of Lanao del Sur on the island of Mindanao in the Philippines. According to the 2015 census, it has a population of 201,785. The people of Marawi are called the Maranaos and speak the Maranao language. They are named after Lake Lanao, which is called Meranau in the language, upon whose shores Marawi lies. The city is also called the "Summer Capital of the South" because of its higher elevation and cooler climate, a nickname it shares with Malaybalay, which legally holds the title. An armed conflict against the ISIL-affiliated Maute group is in progress within the city since May 2017. Marawi was founded as Dansalan in 1639 by the Spaniards led by Francisco Atienza who came from Iligan and were attempting to conquer the entire Lake Lanao area. However, it was abandoned later the same year when thousands of Maranao warriors invested the then-fortifying settlement, pressing the Spaniards hard and thus they returned to Iligan, having failed in their quest. The Spaniards only returned to the area when they began the conquest of the Sultanate of Maguindanao in the late 19th century, only to be abandoned once again when the Americans came there in 1900. It served as the capital of the undivided Lanao province from 1907 to 1940. Dansalan in Meranaw is a place where ships berth – a port of entry. A Tribal leader of Marawi before Spanish colonization was "Datu Buadi Sa Kayo". He collected taxes in his era. According to the late well-known Meranaw scholar Dr. Mamitua Saber, Marawi got its charter in 1940. The granting of a charter to the old Dansalan municipality was jointly conceived by the Philippine Commonwealth President Manuel L. Quezon and Assemblyman, later Senator, Tomas L. Cabili. The changing of the official name from Dansalan to Marawi was through Congressional amendment of the Charter in 1956 sponsored by Sen. Domocao Alonto. This is embodied by Republic Act No. 1552 dated June 16, 1956. The renaming of the city as "Islamic City of Marawi" was proposed by Parliamentary Bill No. 261 in the defunct Batasang Pambansa, the former parliament of the Philippines during the Marcos regime, reportedly to attract funds from the Middle East. On May 23, 2017, a pro-Islamic State of Iraq and the Levant group called the Maute group attacked the city. The battle is ongoing since May 23. CNN Philippines reports that the militants have about 500 men. Philippine President Duterte has declared Martial Law on the island of Mindanao, where the fighting is taking place. Marawi has a total land area of 8,755 hectares (21,630 acres). 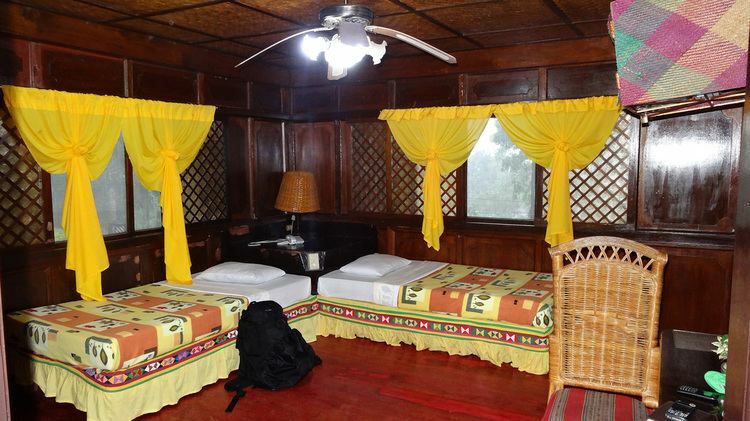 It is located on the northernmost shores of Lake Lanao and straddles the area where the Agus River starts. It is bounded to the north by the municipalities of Kapai and Saguiaran; to the south by Lake Lanao; to the east by the municipalities of Bubong and Ditsaan-Ramain; and to the west by the municipalities of Marantao and Saguiaran. The Bagang beach is situated 2 kilometers (1.2 mi) from the city's commercial center. The Islamic city also hosts a national park, the Sacred Mountain National Park which spans the barangays of Guimba and Papandayan covering an area of 94-hectare (230-acre). The protected area was established on August 5, 1965 by Republic Act no. 4190. The park is dominated by Mount Mupo, a 900-foot (270 m) tall extinct volcanic cone. 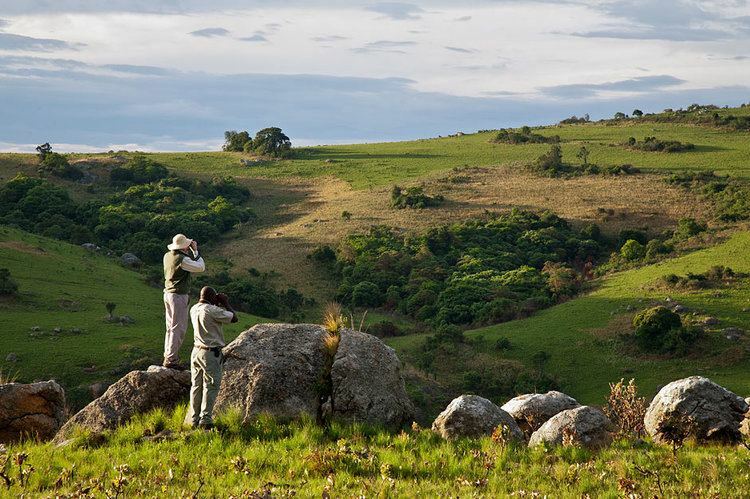 The park is ideal for birdwatching and mountain climbing to the summit that features a small pond. Mountains, rolling hills, valleys and a large placid lake dominate the city's landscape. Angoyao Hills (Brgy. Sogod) served as natural viewpoint over the water of the Lake Lanao. Signal Hill (Brgy. Matampay), Arumpac Hill (Brgy. Saduc) and Mt. Mupo (Brgy. Guimba) are considered beautiful but mysterious. Mt. Mupo, located within the Sacred Mountain National Park, is known for its untouched trees and beautiful, perfect cone. Marawi is politically subdivided into 96 barangays. Only mayors since the 1986 People Power Revolution are listed. Only vice mayors since the 1986 People Power Revolution are listed. Due to its high elevation, with the elevation along Lake Lanao at around 2,300 feet (700 m), Marawi's weather is cool (in tropical terms) and pleasant, distinguished by an even distribution of rainfall throughout the year. Maranao or Meranaw is widely spoken in Marawi; however, local inhabitants can also speak Cebuano, Tagalog, English, and Arabic. 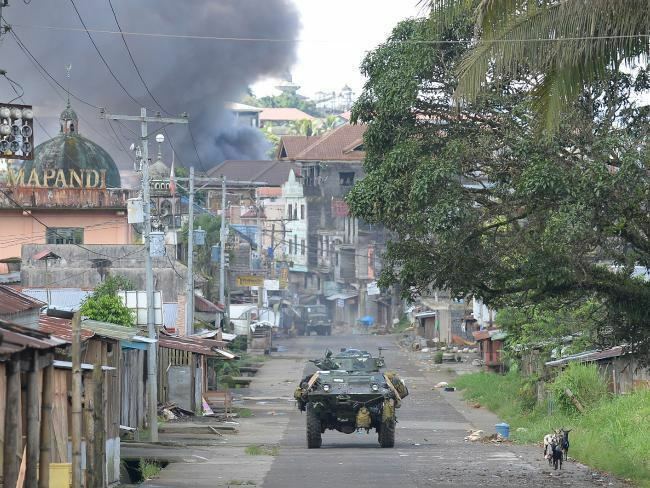 Marawi City is predominantly Muslim city which accounts for 99.6% of the population. Sharia criminal law exists but without stoning, amputations, flagellations or other Islamic punishments as they are against the law of the Philippines. The distribution of alcoholic products and gambling is forbidden and women must cover their heads, though non-Muslims are exempted from this rule. Other than sharia law in personal matters, these laws are not applicable elsewhere in Lanao del Sur. The economy of Marawi is largely based on agriculture, trading and exporting. Most industries in the city are agriculture-oriented. They include rice and corn farming, hollow blocks manufacturing, goldsmithing, and saw milling. 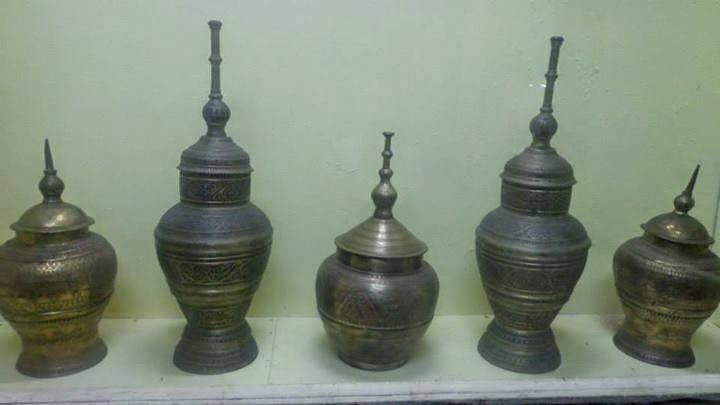 Small and cottage-size enterprises are engaged in garment making, mat and malong weaving, wood carving, brassware making, web development, and blacksmithing. Apart from that, Marawi is home to NPC - Agus 1 Hydro Electric Power Plant and the first of the six cascading Agus Hydro Power Plants. The feeling of the unique natural setting of the Maranaos in Marawi is manifested by the presence of many large Torogans, an antique royal high-roofed houses with carvings designed by the Meranau, and Amai Sambitory old Buildings in Barrio Naga in front of Tuaka Laput, Marawi. TESDA is also stationed in Marawi which caters to technical training of students for the province. Within the Mindanao State University is the Aga Khan Museum of Islamic Arts which is named in honor of Sultan Aga Khan who contributed to the realization of the museum. Historical development of the country is bank on the large space upon the conservation of cultural materials. 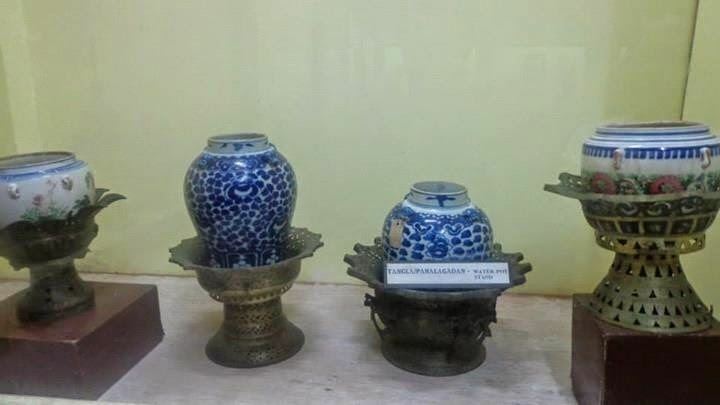 It has huge, collection of indigenous art, displayed ethnic music tape recorded, the native folk dances from different regions of Mindanao, Sulu and Palawan, the native tools and weapons used by the Muslims and different artistic designs of houses are the main attractions of museum. Indigenous art and cultural material are being displayed.